The world’s largest collection of photo contests – Hand-picked for photographers of all levels. 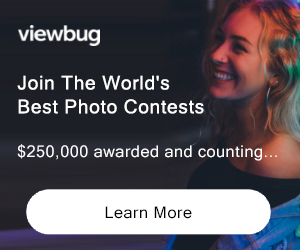 Get the very latest and best photo contests from around the world delivered weekly! $47,500 in cash prizes, IPA trophy for the Category Winners, Lucie Statue for the main Winners & an Awards Gala in New York City! Order Your Spotlight Ad Now! Our most popular homepage ad now available for 1 month. Get more exposure for your contest before it ends! Finalists get exhibited in San Francisco, published in a magazine, and compete for $5000 in prizes. Show us your best! €6,000 (and Exhibition) WWF Grant, €2000 for the Grand Prize and over €3,000 in prizes for amateur, professional and youth entries! Enter dozens of contests for only $9.95. Cash Prizes! Get feedback for everything you post. Make sales and become a better artist. 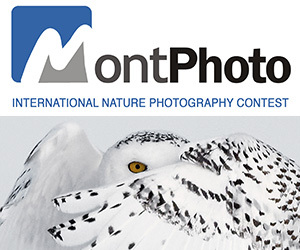 3 monthly photo awards; portrait, landscape and wildlife. Prizes: exhibitions at international photo festivals, magazine publications, portfolio from Format, design from Canva, and more. Show us your work!